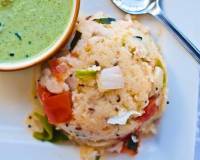 Idli Upma Recipe , as the name suggests is soft idlis tossed in classic Indian tadka to make upma. 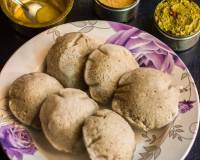 Serve it along with chutney and coffee for a comforting breakfast. Idli Upma Recipe is one of the easiest breakfast dishes that you can prepare from leftover idlis in your kitchen. 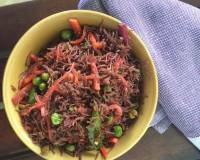 You can add vegetables like carrot, tomato, peas or cabbage. 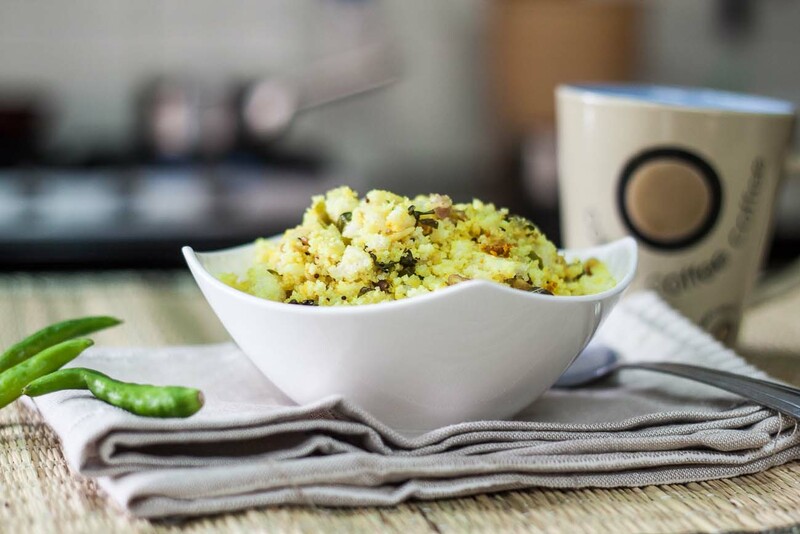 A little bit of idli milagai podi mixed with this upma can make it extra delicious! 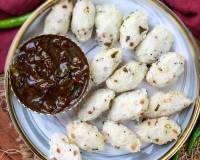 Serve the delicious Idli Upma along with Idli Dosa Milagai Podi Recipe - South Indian Chilli Chutney Powder and Roasted Garlic Tomato Chutney Recipe and top of this breakfast Kumbakonam Filter Coffee Recipe. 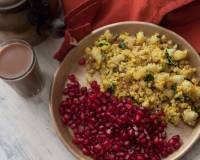 To begin making the Idli Upma Recipe, heat a teaspoon of oil in a heavy bottomed pan; add in the mustard seeds and allow it to crackle for a few seconds.Then add in the split urad dal and allow it to roast and turn light brown in color. Once the dal is roasted we will add in the chopped onions, the ginger, green chillies and curry leaves. Saute on medium heat until the onions are transparent. Once tender we will add in the turmeric powder and the crumbled idlis and some salt to taste. 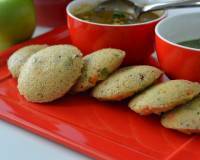 Sprinkle a little water so the idlis don't get too dry, you want them to be moist and flavorful when the upma is done. Stir all the ingredients well. Turn the heat to low, cover the pan and allow the idli upma to simmer for about 3 to 4 minutes. 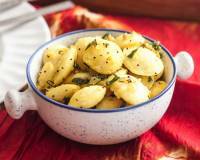 After 3 to 4 minutes, add in the chopped coriander leaves and stir well to combine. Turn off the heat and serve the Idli Upma hot.